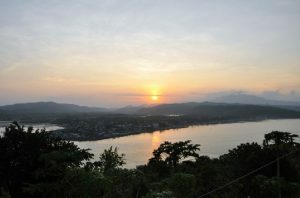 The founding of Magallanes abounds within conflicting versions. 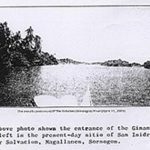 One version says that it started with a Spanish settlement somewhere at Gibalon while another version claims at Caditaan but within the provincial jurisdiction of Nueva Caceres. 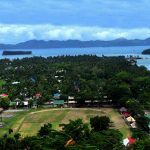 It later became part of Albay Province and was held in that place called Gibalon near the present barangay of Ginangra, celebrated by Fr. Alonso Jimenez. 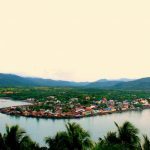 It was here where the Jimenez – Orta Expedition was founded by Bicolanos from the Bicol Region belonging to a single province then, Nueva Caceres, though most elders of the population have their roots from Albay Province which also forms part thereof. 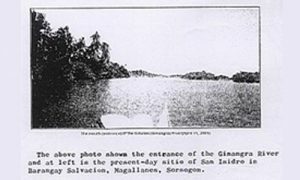 The formal political and administrative creation of Magallanes began from a sitio known as Parina derived from a local hardwood free used in shipbuilding. When the shipbuilding industry made this place progressive, it became known as Visita De Parina because of numerous visitors from other places. During this period, the Chaplain of Pueblo De Casiguran used to hold mass during visits. In 1852, a settler named Don Manuel de Castro from La Curuña, Galicia, Spain requested the Bishop of Nueva Caceres, Msgr. Juan Grijaldo to create Visita de Parina into a barrio with a chaplain. Such request was granted with Rev. Fr. 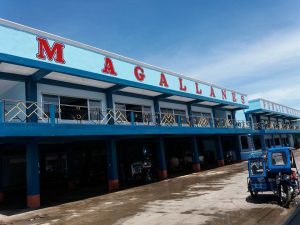 Fernando Ortiz as the first chaplain who named this place as Magallanes after the famous sailor and discoverer, Fernando Magallanes. 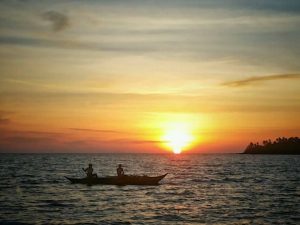 It however remained under the chaplaincy of Pueblo de Casiguran headed by Rev. Fr. Agustin Aragon. 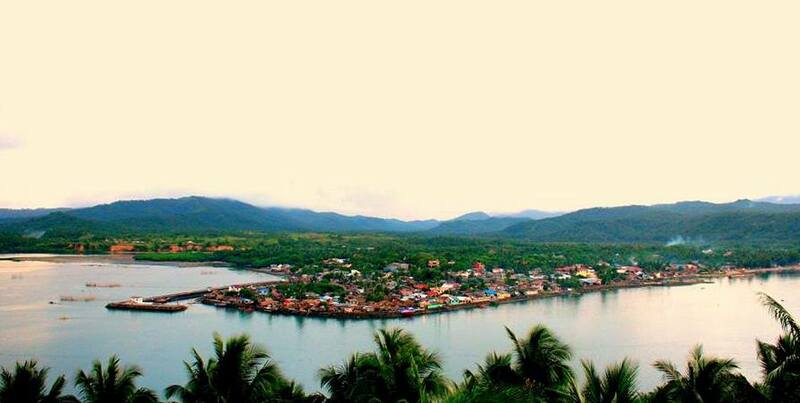 Magallanes became a municipality on July 16, 1860 separated from Pueblo de Casiguran with Don Manuel de Castro as the first appointed Governadorcillo. It was likewise proclaimed as separate Parish but made final only on January 1, 1864. The Our Lady of Mount Carmel Parish with Rev. Fr. Higino de Castro as first Parish Priest of Magallanes was completely organized on July 16, 1864. 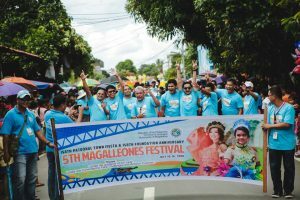 Thus, the celebration of Magallanes Foundation Day and the Patronal Town Fiesta are held on the same day, July 16th.